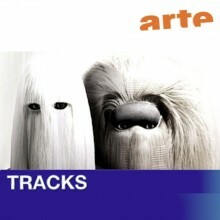 My Fellow Citizens Feature at arte TRACKS The two jaunty citizens were just featured by super Franco-German television music magazine arte TRACKS. Nothing astonishing when you look at their witty outfit besides their brilliantly trimmed soundscapes. Radio Vomeer – Schaltkreis E.P. Sinan Mercenk – MERCENK E.P. Sinan Mercenk – Berlin E.P.